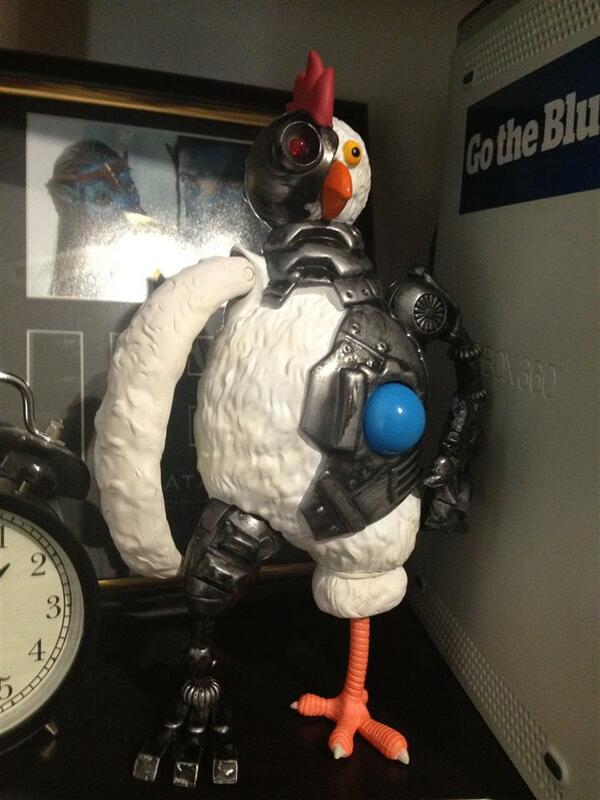 Jazwares 10 Inch Robot Chicken collected in Figure Collection by Tayler Rowe - Collected It! "sigh" the Frankenstein style chicken of Seth Green's stop motion series, what a superb character. The figure itself really feels like you've brought the TV show home to your shelf, the cartoon like features and iconic sounds it makes really does make this thing feel great. 10 Inches for this figure is a perfect height because I felt that if they made the step to push it up to 12, it would have taken away from the cool little chicken feel the figure gives off. In conclusion this figure is always great for the fan and I really have nothing bad to say about it.